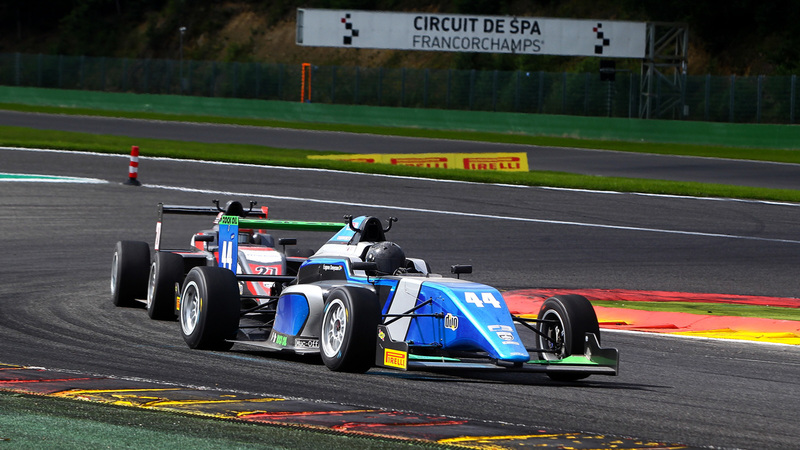 Thomas Maxwell and Eugene Denyssen impressed on their maiden visit to Spa-Francorchamps in Belgium during the latest three rounds of BRDC British Formula 3 Championship action, the SWR pairing helping the Oxfordshire squad deliver its most competitive team performance so far of 2016. Rapid throughout the event, both drivers shone at the world-famous Formula One venue with Maxwell matching his season-best British F3 result of seventh in race three on Saturday, 9th July, and Denyssen bettering his previous best with eighth position in the same contest. 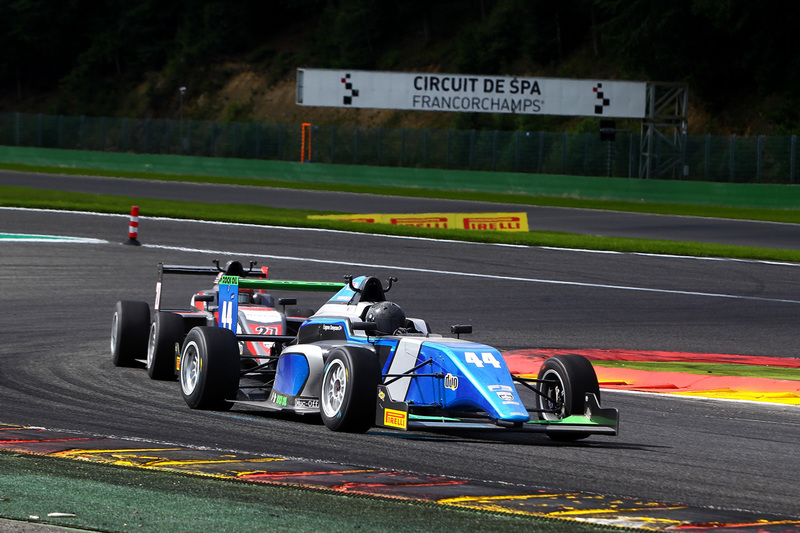 During the opening encounter on Friday, 8th July, the SWR duo had a great opportunity to try and capitalise on a very strong qualifying run – Maxwell lining-up sixth on the grid for race one with Denyssen just behind in eighth – but incidents for both blunted their potential. “Pace wise this has definitely been our best weekend of the season”, said SWR team owner Sean Walkinshaw, “What happened in the first race compromised the whole weekend in terms of the results, we didn’t get the finishes our pace deserved, but Tom and Eugene did a great job on track. We ended the weekend with good results in the last race, though, so we’re happy with that. During pre-event testing, both Maxwell and Denyssen were at the sharp end on a strong day for SWR. 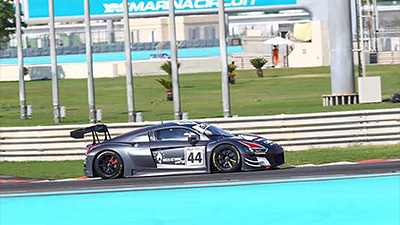 Placing seventh and ninth respectively in session one, during the second run they were an improved sixth and seventh before Denyssen scorched to a top three time in session three – a mere 0.052 seconds shy of the quickest lap. Maxwell was just 0.1 seconds further adrift in fifth. Continuing in the same vein for qualifying, Maxwell produced a best-yet sixth fastest time, just 0.2 seconds shy of the second row for round 16, and Denyssen also impressed with the eighth best lap a mere 0.050 seconds adrift of his team-mate. 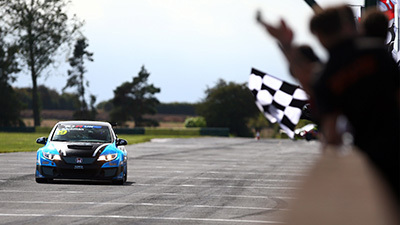 Making the most of his top six starting slot, Maxwell held position on the opening lap prior to the emergence of the Safety Car for lap two due to an incident at the first corner which involved the sister SWR car of Denyssen. Fortunately, the South African was able to continue so at the re-start on lap three he held 18th place with Maxwell sixth. The Australian soon climbed into fifth place at the end of the lap, though, passing returning reigning champion Will Palmer at the chicane, but damage sustained as Palmer attempted to fight back on lap four ultimately led to Maxwell pitting. More drama followed on lap seven with a two car tangle resulting in red flags and an early conclusion to the race. Maxwell ended the contest in 15th position after his stop while Denyssen produced an excellent recovery, fighting through to 11th place after his early dramas. 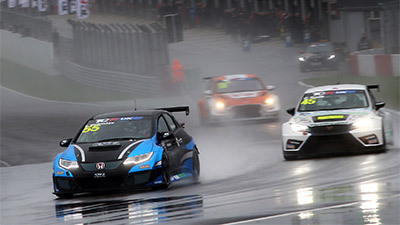 In round 17 on Saturday morning Maxwell made good progress from the eighth row of the grid and managed to leapfrog team-mate Denyssen during the early going. Climbing through to 11th place midway through the nine lap contest, Maxwell was on the verge of breaking into the top 10 when bundled back several places but he fought through again into 13th place at the finish. Denyssen wasn’t able to capitalise on his sixth row starting slot after slipping down to 17th position initially, but he did manage to recover some ground during the latter stages. Running close behind Maxwell with three laps to go, holding 16th position, Denyssen then broke into the top 15. Beginning round 18 from sixth, Denyssen managed to move into the top five while Maxwell slipped from seventh to eighth. On lap three, though, Denyssen’s placing in the lead quintet went awry as he was shuffled back to ninth – although Maxwell went in the opposite direction, moving into seventh. The Australian remained there to the finish and ended the race on lap nine only 0.5 seconds shy of the coveted top six. Denyssen, meanwhile, ran in the middle of an incredibly close three-way battle for the bulk of the contest and went on to finish the race in eighth spot close behind Maxwell. 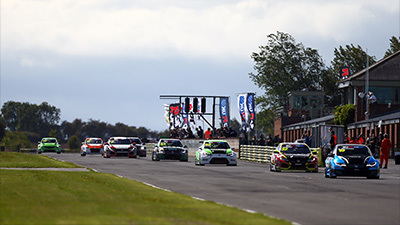 Snetterton 300 Circuit in Norfolk, the venue for the season-opening race meeting back in March, will host the penultimate event of the BRDC British F3 campaign over the weekend 6th/7th August.